Just finished the last 10 chapters for an out of class book to read for class, and I am mesmerized by SungJu Lee’s story. If I could read this story over and over again, I would. Please read this. No matter who one is, regardless of race and knowledge, this book will connect with you. Life changing indeed. I'm struggling to put my thoughts into words after reading this book. Every Falling Star is far from anything I normally read so my expectations for me liking it were pretty low. I was really surprised when I had a hard time putting the book down. I knew a fair amount about North Korea before going into this book. More than the average person but not nearly enough (or so I think anyways). This book made me want to learn even more. 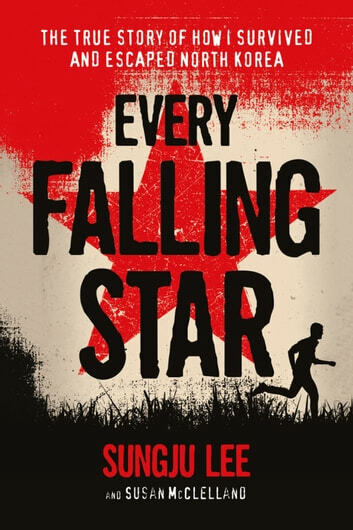 Every Falling Star is a brutal story about what it's like to grown up in, what I now think of as a cult-like country. When you're reading you almost have a hard time believing it's real. No one could possibly think that growing up like this is ok. It breaks your heart each time you remember that it's a true story yet you're still cheering the characters on, hoping that things will turn out in the end. What I really liked about this particular novel is that it's aimed towards young adults. I think that made the story a little bit easier to read and I think it will make more of an impact on young adults than most other non-fiction books. This is one book that I would have been glad to read had it been a mandatory book in school. I can only hope that more people will pick it up and want to learn more about North Korea like I did.